A kidnapped father. An ancient tome. A mystical gem. When 14-yr old Abby Fletcher returns home to present day Scotland with the help of her magical dog, Finlay, she receives a disturbing message: the Book of Shay in exchange for the life of her father. Pressed for time, Abby and the young Scotsman, Rory, set off in search of the mysterious book. In a whirlwind adventure filled with time travel, frightful adversaries and enchanted beings, their path leads to a timeworn stone circle. There, with Berry Brae's secret revealed, Abby must make a life-changing decision in this second installment of the Red King Trilogy. The Secret of Berry Brae Circle is a perfectly charming (and charmed) sequel the The Phantom of Faerie Mountain. I read the ebook when it was first released, and found myself wishing that author E.M. McIntyre would hurry up and release the third book in The Red King Trilogy. I want to find out what the future (the past?) has in store for Abby, Rory, and Findlay. Narrator Joshua Young did an inspired piece of work in bringing to life the entire cast of characters, adding depth to this well-conceived and well-written YA novel. Book two is even better than book one, which was pretty amazing. Picking up where book one left off, Abby returns to her home.to discover her father is missing. To get him back, she must retrieve a lost book. Her search sends her on several adventures, risking her life. Joshua Young returns for.another fabulous read. You won't regret investing in Abby's adventures. I enjoy the fun twists within the plot. This is enjoyable for all ages. and I look forward to more fun from the Author. This book was provided free from the Author in exchange for a review. Thanks! 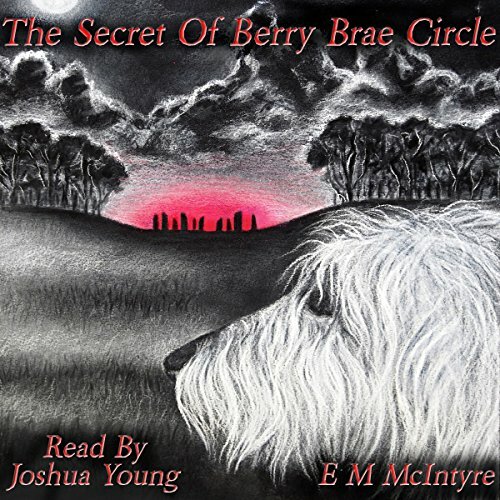 What other book might you compare The Secret of Berry Brae Circle to, and why? What about Joshua Young’s performance did you like? Could you see The Secret of Berry Brae Circle being made into a movie or a TV series? Who would the stars be?